We are a group of scholars and game designers at the Education Arcade at MIT, where we develop learning games about scientific and mathematical concepts and real-world problems. Our goal with our learning games is to command your attention and passion and, we hope, change how you think about the world in the process. Learning is cultural, an activity that is shared and happens in communities, but learning is driven as much by passion, personal interest, and curiosity as it is by the world around you. Games are also cultural artifacts—they have bedrock roles in human culture, whether they exist as an abstract set of rules in the shared minds and memories of a community or as a box containing a mess of code on a disc that costs $60 (experience may change in online play). Games depend on shared, playful participation within a set of rules. They can bring people together and accumulate meanings within the culture at large, and they can also create particular meanings to every person who comes into contact with them. Although games are necessarily limited by a circumscribed set of rules, this capacity for larger shared meaning—resonance—makes them powerful platforms for learning. Too often in contemporary society, though, the ideas of “learning” or “education,” important mechanisms by which we induct young people into our society and provide access to all that we know and how we came to know it, are confused with “schooling.” While schools are, in many societies, important locations for the enculturation of our young people, they can be caught up in efficiently completing bureaucratic processes or satisfying benchmarks created more for political expediency than for pedagogically sound reasons. Although game-based learning is gaining recognition within education systems, too often the games are narrowly focused on specific learning outcomes dictated by school curricula. These narrowly targeted games can fail to connect with young learners. In the Education Arcade, we have spent over a decade designing learning games that could come to be your life—artifacts that could be a part of your life in school and at home, that could rouse your curiosity and determination, that might even seep into your dreams and imaginations. (Everyone’s had a Tetris dream or a Rock Band dream, right? We talk to teachers all the time who have complex systems-simulation dreams after using our StarLogo Nova application.) Our games are designed to resonate with your life, with your passions, and with all the systems in which they are embedded. This book is a compendium of principles we have used to design our learning games, illustrated by projects we have created with these principles in mind. We call the sum of these principles “resonant design,” and the games that embody the spirit described by these principles, “resonant games.” Through this resonance, the games amplify the systems to which they are connected—school, home, life, friendships—connecting them and making them more meaningful. This is obviously not the only approach to developing learning games. We hope that by elucidating our principles and practices (and our successes and failures), we can further a culture of passionate learning with aesthetically beautiful and intriguing artifacts. We hope that we see more and more games in the world that we wish we had made! We’ve seen these principles emerge in our own work over the last two decades, but we are also indebted to the great writing of James Paul Gee, Kurt Squire, Constance Steinkuehler, Ian Bogost, T. L. Taylor, Bernie DeKoven, Sasha Barab, and others who have described the value of video games (and other games) as sites of struggle, persistence, failure, great imagination, and deep learning. In other words, games are sites of great humanity, and they are frequently sites of great learning as a result. Video games are cultural artifacts and designed experiences. Games are highly effective abstractions and models for experiential learning, as well as being deeply social. They are both powerful and intimate. They are a mess. Or a mangle. Or an assemblage. They are action and reflection. We think of our games not as interventions that can be doled out in reliable doses with predictable results, but instead as provocations, designed to solicit questions, arouse passions, and stimulate great discussion in learning communities. In this book we argue for a philosophy of learning game design that is passionate, highly engaged, and welcoming. We are also primarily directing our attention at the learning of young people in and around the deliberate learning environment that is American public schooling, an environment that, on average, could probably use more passion, engagement, and welcoming. One of our most adamant beliefs is that context matters, and that all educational technology is only as useful and good as its implementation. When you read this book, if you are a mentor in another sort of learning environment or you design for one, feel free to adapt our thinking to your needs—you know your context better than we will. We do take some trips outside school in this volume, so perhaps you will also find something for your situation there. In the main, though, this is a book about the roughly fifty million children who go to school every day and are faced with uninspiring learning environments—learning environments where often heroic (but sometimes not) teachers are overworked and overly constrained by (possibly) well-meaning bureaucrats who have drained schools of professional control and personal efficacy through (yet more possibly) well-meaning policies. While resonant games vary widely in format and content, they share characteristics that create deep learning experiences inextricably connected to the educational ecosystem they exist in. This book describes twenty design principles that we believe are essential for reaching the learners you wish to reach, getting and holding their attention, and even invading their dreams. We have distributed the principles throughout the book organically, tying these broad, abstract ideas to appropriate projects from our lab that we believe illuminate and exemplify them. Instead of debuting all twenty principles here in the first chapter and risking overload, we instead present four broad overarching organizing principles for how we see resonant design. First, honor the whole learner. Resonant design is incompatible with views of learning and of intelligence that see those seeking to learn as empty vessels awaiting “fill-ups” on knowledge. Learners must be seen as full human beings with a range of passions, likes, and dislikes. They have homes, social lives, and interests outside a given opportunity to learn. They have good days and bad days and physical bodies. We believe that we as game makers must hook students using all the things that hook us (and probably hook you too): telling them a good story; trying to understand them well enough to present them with puzzles, challenges, or other provocations that speak to them; and meeting them where they are. Human beings may be at their best when they are imagining how things might be otherwise, or when they are hard pressed to solve a complex problem, or maybe both. The best games for learning, we feel, place the learner in situations that might strike their fancy as well as presenting problems that keep them up at night. It helps to know and like people, and to know what people are like, too. Learners do not come in standard packages, and individual lives, tastes, and minds are highly idiosyncratic. Accordingly, we know that not every problem is going to enthrall everyone alike. Second, honor the sociality of learning and play. Very few of the games described in this project are what might be called “single-player” games. Most of them could probably be played (or even have phases that should be played) in an isolated, “just me and my computer” fashion, but those players would be missing out on essential parts of the experience. Resonant design is predicated on the idea that learning is both an individual and a social experience. Self-taught learners who never connect their knowledge to that of others may have reliable abilities to produce meaning, but those meanings may lack validity. Resonant games are designed so that they bring many players into conversation with each other and with the game, drawing people into the world together through provocation instead of by broadcasting a single message. It is important to provide several challenges for players to do together, to figure out together, and to reflect on together. Providing players with open-ended, ill-structured problems can greatly aid this, as can putting players into situations of collaboration, cooperation, and even competition. Growing evidence and theory points to the tremendous importance of sociality to humans, and as such, it is a crucial piece of resonant design. Third, honor a deep connection between the content and the game. Resonant design takes the connection between learners and knowledge, skills, and practices very seriously. All games, in their way, are learning games—players learn systems, strategies, and tactics; they learn about their opponents and teammates—but the games we are discussing are those specifically for learning what some may call “academic” content and skills. We are circumspect about the use of this word only because many of the ideas, skills, stories, and habits that could be considered dry or overly abstract are actually pretty wonderful. Some are useful; some are inspiring, giving us a sense of the world beyond our experience; some help explain how and why the world is as we encounter it; and some challenge our understanding of the world. Most have some connection to people’s everyday reasoning. We sometimes hear designers, publishers, and funders say things like, “Can you make [a certain topic] fun?” This seems like a mistake to us, because most human knowledge was pretty fun for someone to create. Someone really wanted to understand how to balance the value of discrete unequal things, so they invented algebra. Someone really wanted to understand the causes of systemic racism in America despite the unrelenting bleakness of the subject matter, and researching it was fun for them. To help students develop competencies and develop their own passionate questions about the world, it is essential to figure out what is already fun about the matter at hand. The thing you want your students or audience to know is already fun. If you are asking, “How do I make [this topic] fun?” then you need to reconsider your approach. Resonant design is not about inserting content into games. It is about deeply connecting the game and the learning. It is not about fun in the sense of continuous enjoyment, but rather fun in the sense of continuous engagement. This is why we chose the Saint-Exupéry quotation as an epigraph for this chapter, as well as the xkcd webcomic below (figure 1.1). In the comic, beloved, exemplary scientist Richard Feynman has returned from the dead to make it clear to someone abusing the giddy research energy of TV’s Mythbusters that her wan professionalism is as far from the core of science as Pluto is from the sun (or from being a planet). Fourth, honor the learning context. While learning does happen all the time, all over the place, most academic knowledge is learned in schools. For the vast majority of American students, including those hardest to reach and those with the least opportunity to access complex academic ideas, this means the public school system. While some consider this situation a massive tragedy, and others, a great benefit, to us, it simply is. This is the context in which we design. Resonant design is dedicated to finding the patterns necessary for fitting designed experiences into people’s lives and into contemporary classrooms. It is also dedicated to finding the best ways to work with educators and policy environments to ensure that complicated educational experiences can be used in the classroom and will be used in the classroom. This means codesigning experiences with educators, developing bridge curricula, paying careful attention to standards and other policy variables, and providing professional development for educators. We are still dedicated to a progressive pedagogy that aims to change many of the ways in which public education is approached. A crucial part of our practice involves compromising on issues that do not matter in order to ensure adoption, while fiercely maintaining the integrity of our pedagogical philosophy and learning goals. We also recognize that while school is the principal site of learning in our society, our cultures of learning can be somewhat impoverished outside schools. Resonant design is as dedicated to fitting into lives outside school as it is to fitting into school. Resonant games are devoted to the ideas of lifelong learning and access to knowledge and skills in modalities beyond the classroom. The design principles in these four broad categories have emerged as the characteristics that best describe resonant games and represent their commonalities. Any one game need not embody all twenty of the principles to be considered a resonant game, but it should incorporate many of these ideas. Each principle is discussed in depth in relation to the project where it can be seen most clearly, but each one naturally applies to a variety of projects, and those common threads are woven throughout the chapters of the book. The principles are not designed to be a checklist or evenly applied to all games. Depending on the situation, context, domain, game style, and other factors, some principles are more critical and are adhered to more strictly than others. Designers need to determine how these factors vary; we discuss how to do so throughout this book. Lure of the Labyrinth (figure 1.2) is an online game that uses a compelling graphic novel storyline to engage middle school students in mathematical thinking and problem solving. In this browser-based game, players control a character walking around a labyrinthine world, in which they must retrieve a lost pet from underground monsters by overcoming obstacles in the form of mathematical puzzles. The mathematics is designed for middle school pre-algebra students, and is aligned with both Common Core and NCTM standards (i.e., National Council of Teachers of Mathematics). Teachers are able to create groups of students, monitor their progress, and connect the game tasks directly to mathematics concepts in their classes. Labyrinth was funded by the US Department of Education, through funding to Maryland Public Television. We designed at MIT, and Fablevision produced it. To date, students have used math and problem-solving skills to save more than 30 million pets! 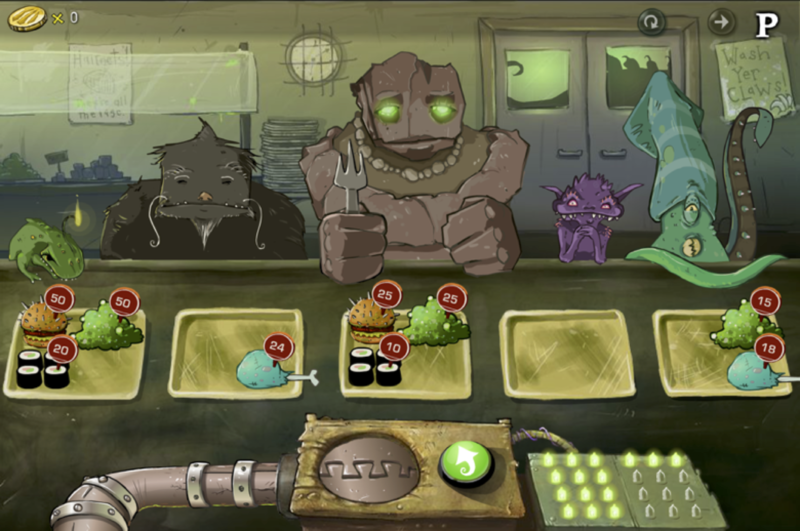 Figure 1.2 One of the puzzles from Lure of the Labyrinth, in which players must appease the monsters with the correct delicacies using ratios and proportions to determine the right sizes. Vanished (figure 1.3) was a curated alternate reality game exposing middle school students to careers in STEM by engaging them in the work of scientists. The main structure for the game was a narrative about the discovery of an earthlike planet devoid of life. The players got brought into the story and were recruited to collectively figure out what had gone wrong on that planet. As an alternate reality game, Vanished integrated online minigames, visits to museums, and interaction with real-world places and objects as players solved a series of puzzles. Players collaborated online and in person. They also received help from MIT student facilitators and Smithsonian scientists to solve the mystery. Some of the academic areas this pursuit was related to were life sciences, environmental sciences, paleontology, archaeology, geology, anthropology, math, the arts, and language arts. Vanished was funded through the Informal Science Education division of the National Science Foundation. The main target was to directly reach students online, which we did through a partnership with the Smithsonian museums and their network of affiliates. But then several clubs formed independently in schools and in other centers that organized students working on the weekly challenges. Vanished was a one-time event that reached more than six thousand middle school students across its nearly two-month long run. 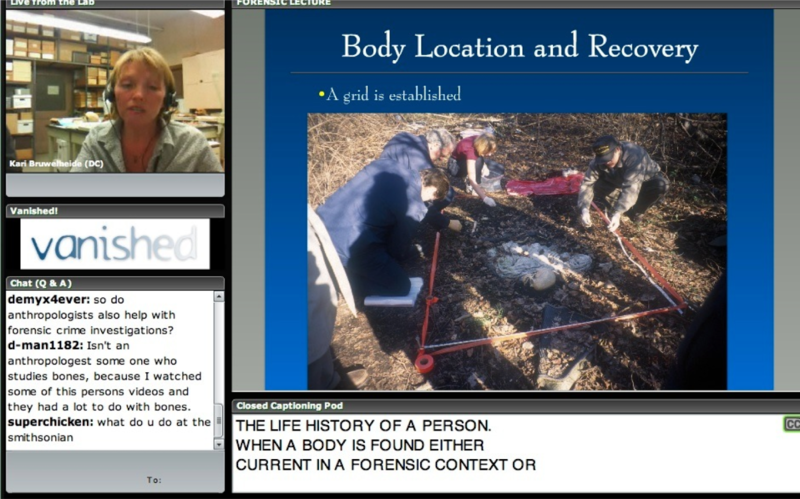 Figure 1.3 One of the live interviews and conversations with Smithsonian scientists that is part of Vanished. The Radix Endeavor (figure 1.4) is a web-based massively multiplayer online role-playing game set in an earthlike world in a Renaissance-like era. Players take on the role of a character in an underground society trying to use math and science to improve the world. In this world, students can simulate how a particular species might adapt to environmental changes over many generations. By examining virtual animal droppings, students can diagram the connections between plant and animal species in a virtual ecosystem. The game covers topics in introductory high school biology and tenth-grade math (geometry, statistics, probability), which are aligned with Common Core and the Next Generation Science Standards. Radix is designed to be integrated directly with classroom instruction on the related topics. Ideally, students complete quests on a topic for homework, which the teacher can connect to core classroom learning through bridging curriculum provided to teachers through the game. So far, Radix has reached around twenty thousand users. It was funded by the Bill and Melinda Gates Foundation and developed in partnership with Filament Games. Figure 1.4 A player in Radix speaking to a merchant NPC (non-player character) to work on an algebra quest. 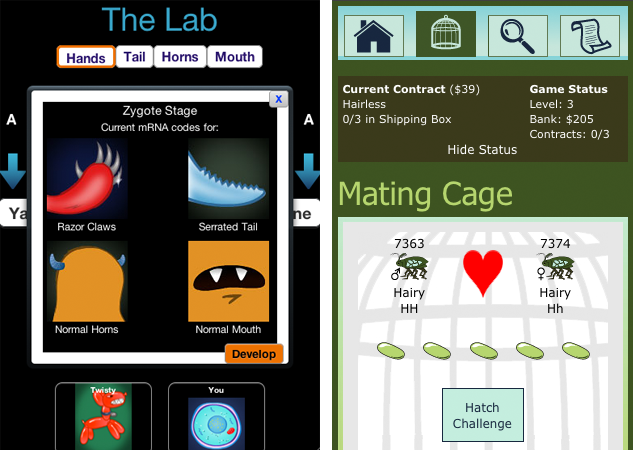 Ubiquitous Bio (figure 1.5) is a series of casual mobile games designed to promote deep learning and strong engagement for high school biology students in the areas of genetics, protein synthesis, evolution, and food webs. These games are designed to be played on smartphones in short stints throughout the day: while waiting for the bus, between classes, and so forth. The games are easily accessible and allow the players a low barrier to entry, with opportunities to level up to more difficult concepts as well as revisit concepts over time. For example, in Beetle Breeders, the players run a pet shop specializing in exotic beetles, which they must breed with a knowledge of Mendelian genetics. The content was designed for high school introductory biology classes and is aligned with Massachusetts state standards. Teachers deploy the games, which students access through borrowed smartphones. The teachers in turn get access to student data on performance as well as curriculum to bridge game content with class content. The series of games was developed entirely at MIT with a grant from the National Institutes of Health. Figure 1.5 The Ubiquitous Games Invasion of the Beasties (left) and Beetle Breeders (right). 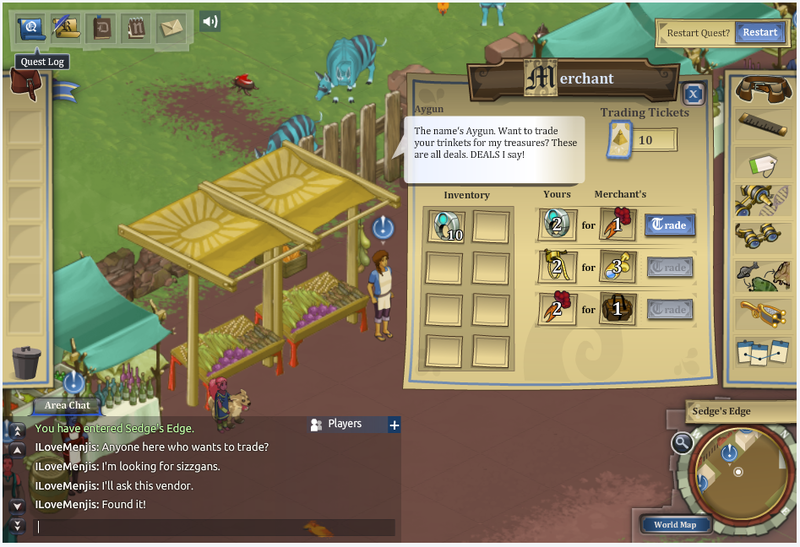 Farm Blitz (figure 1.6) and Bite Club are a pair of online browser-based and mobile games that address financial literacy. While the content is accessible to a fairly broad audience, the goal is to focus on recently financially vulnerable young adults. Each game focuses on a core challenge for this audience. Farm Blitz, a game in which you run a farm with rapidly proliferating rabbits, is about interest rates and the challenges of compounding interest on debt. Bite Club is a game in which the player runs a nightclub for vampires. Through this experience, players wrestle with challenges around accumulating debt and paying current expenses. Both games were designed by people within the Education Arcade, developed by Fablevision, in partnership with Commonwealth, a nonprofit focused on financial literacy. They were also distributed through a partnership with Staples. The games have been played hundreds of thousands of times and were featured prominently in the press. 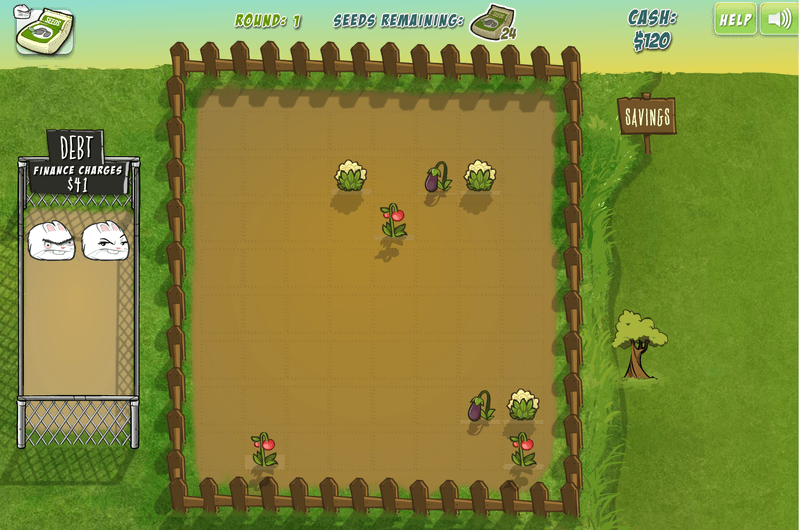 Figure 1.6 A small farm in the game Farm Blitz showing the rabbits (as a metaphor for accumulated debt) and the food remaining in the garden (© 2017 Commonwealth). Before we delve into these in-depth examples, we want to reiterate that this is a practical book. Our practices draw on a great deal of important theoretical work by others, as we describe in the next chapter, but the principles of resonant games arose from our own deep and detailed engagement with specific games and contexts. In trying to codify resonant design, we are seeking only to start a conversation connected to a common set of values that we believe may help designers, developers, practitioners, and others access some criteria for what a truly great learning game might look like. We are definitely not insisting that resonant games are the One True Tool for a progressive education. We view these games as a series of interesting objects that could be considered highly desirable components of any student’s or community’s educational ecosystem. If we achieve what we hope, then our games may inspire others to adopt these ideas as an approach. We hope that this book is as fun and exciting for you to read as it was for us to develop.